John Cena might well be wrestling the man who was his first opponent on WWE television way back in 2002. WWE is on the fast lane to WrestleMania and it is that time of the year when the company leaves no stone unturned in making sure they serve up a match card that is full of dream bouts. Thus, speculations are rife about the company's former golden boy John Cena and who his potential opponent could be, at the 'showcase of the immortals'. It was previously reported that Cena could be shaping up for a match against Roman Reigns in WWE's marquee pay-per-view. These rumours were floating around following Reigns' return to Monday Night Raw for the first time since putting his cancer into remission. But the 'Big Dog' is now set to face the 'Scottish Psychopath' Drew McIntyre at the 'show of shows'. There was also a brief tease that Cena might be squaring off against R-Truth after the latter called the Hollywood movie star his inspiration. But even that storyline looks unlike at the moment given Cena's potential in a particular storyline involving Kurt Angle. Now, the Olympic gold medallist has already announced that he will be wrestling his last match at WrestleMania before drawing the curtains on an illustrious career. But his choice of opponent was received with tremendous backlash on social media as most fans were not pleased with the choice of Baron Corbin as his final opponent. But WWE has thrown many a curveball at their fans before and its latest example was finding a way to include fan favourite Becky Lynch in the Royal Rumble which she subsequently to unanimous delight. With regards to Angle's hitherto scheduled match against Corbin, the commentators have dropped plenty of hints that an eleventh-hour replacement is not beyond the realms of possibility. If the change is to happen and it seems likely that it will, the 16-time World Champion will replace Corbin to set up a WrestleMania match that will lend an exclamation point to a story that started in 2002. Cena's debut match in WWE was against Kurt Angle and it will be fitting if Angle's swansong comes against the man who answered the Olympic gold medallist's open challenge with "Ruthless Aggression" all those years back. 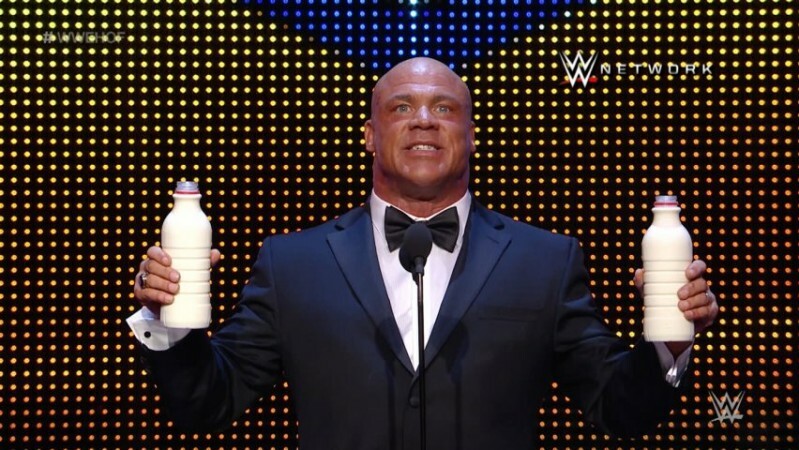 Kurt Angle was inducted into the WWE Hall of Fame in 2017 by John Cena. There are various ways in which this could go down and one of them is Cena turning up in his mid-2000s 'Doctor of Thuganomics' look to take Corbin out before the match. 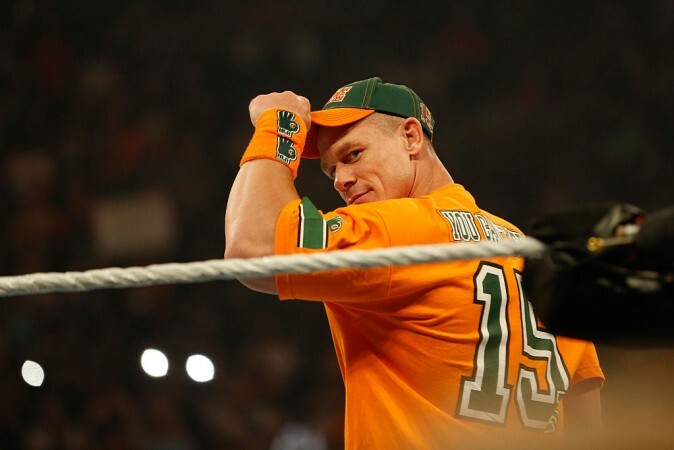 Claiming to be the aggressive self he used to be back in the day, Cena can subsequently send Angle into retirement. It will definitely be a moment for the ages and WWE's way of finishing the circle of life for both wrestlers. The 2019 iteration of WrestleMania will be the show's 35th edition and it will be held on April 7 at the MetLife Stadium in East Rutherford, New Jersey.